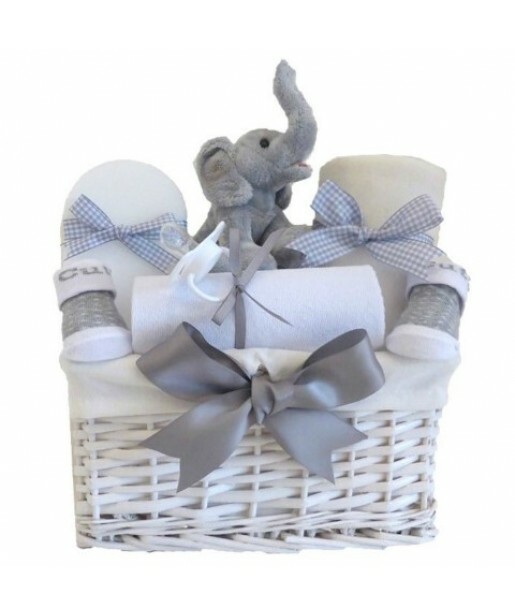 This beautiful unisex baby hamper would make a lovely baby's first gift, maternity, new arrival or baby shower gift. 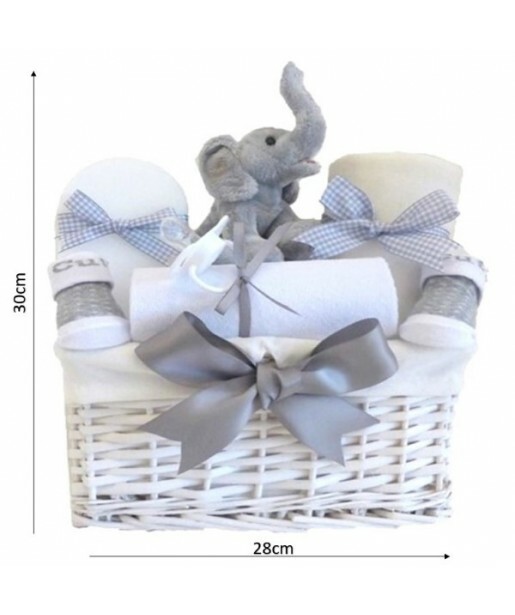 The elephant teddy is made from baby soft plush to ensure it is as gentle against babies’ skin as can be. 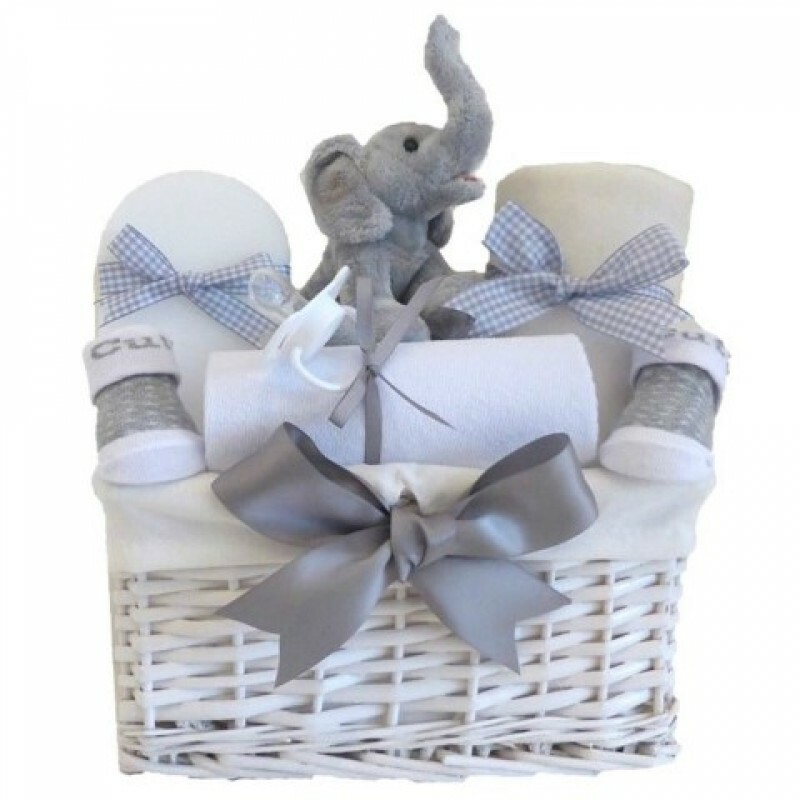 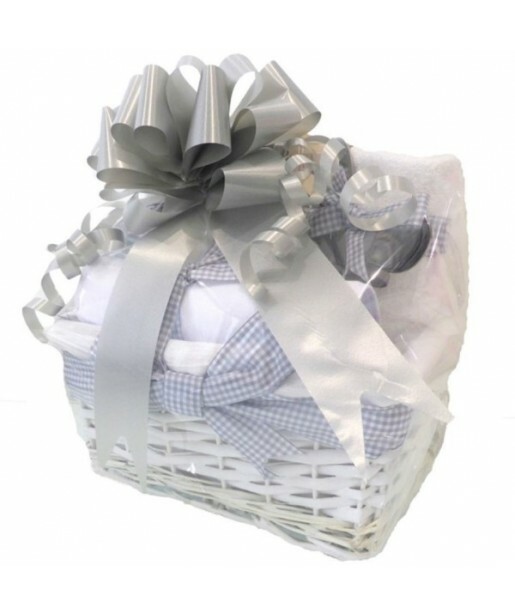 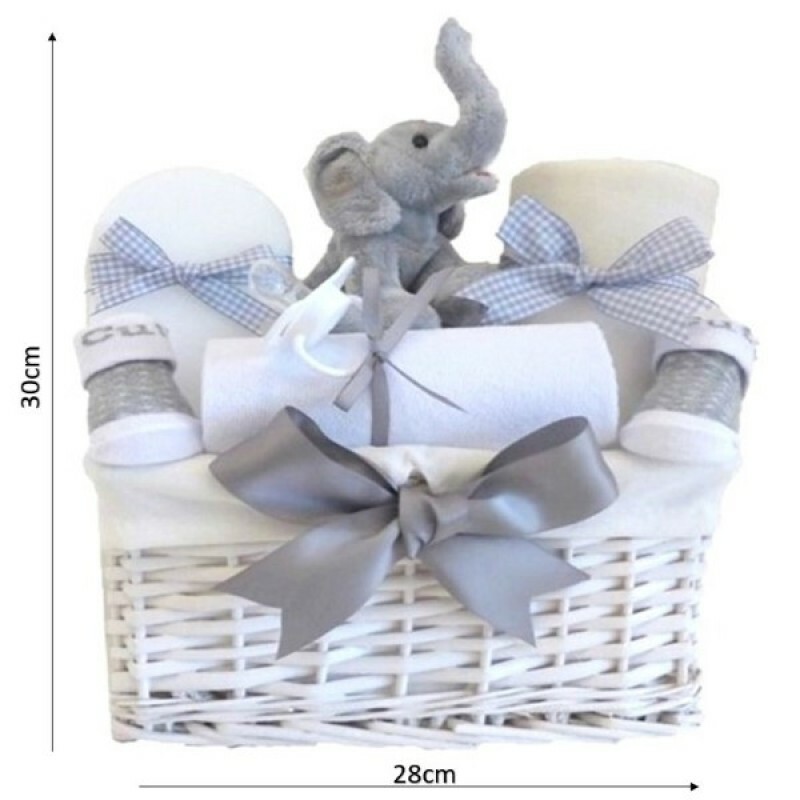 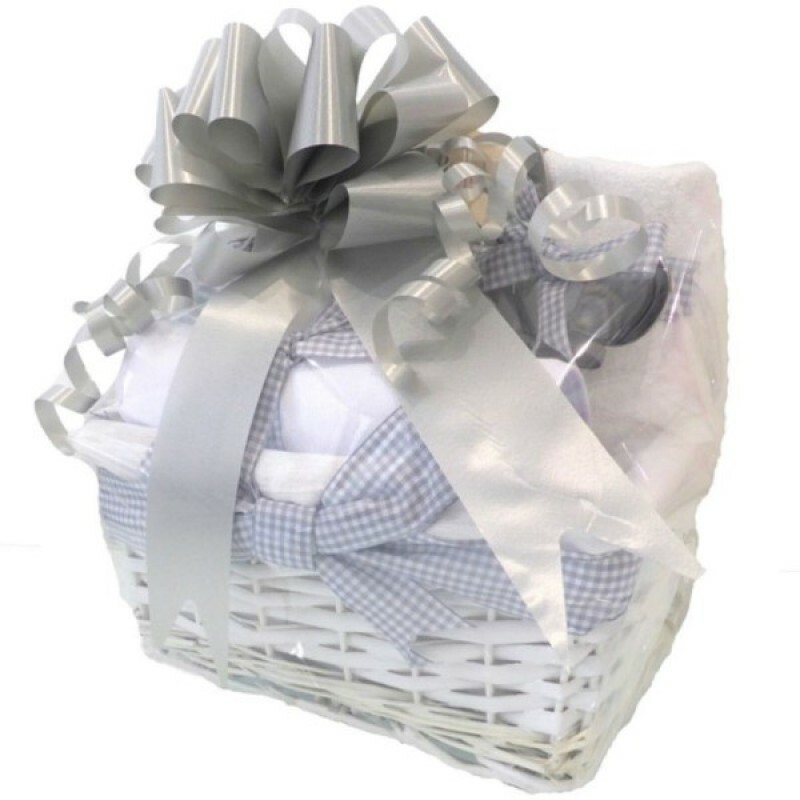 The wicker gift basket comes with white cotton liner and satin ribbon and can be used as decoration after those baby essentials have been used.